Le Creuset Waiters Corkscrew Black (P/N WT110L-31). 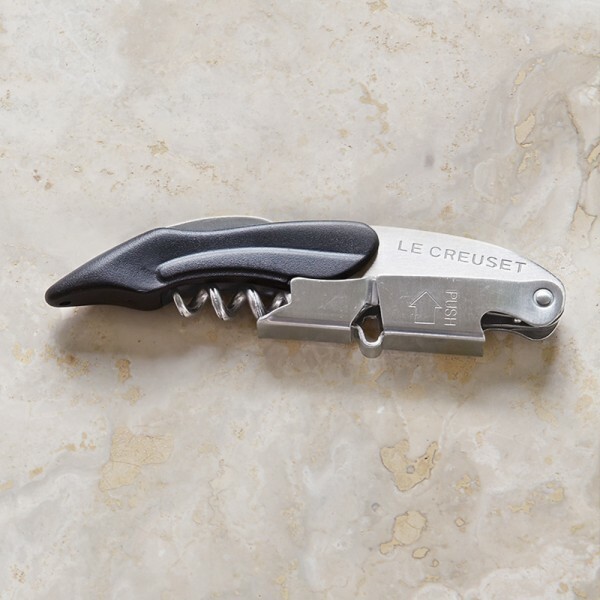 Designed for professional use, the Le Creuset Waiter's Corkscrew uses a patented 2-step system that improves leverage and makes removal smoother and easier. The waiter's corkscrew from Le Creuset is a highly-engineered tool designed for professional use.